Perfect Audience, Choozle, Grade Us and Amazon Ads Join the List of NinjaCat Integrations. Some of our best suggestions have come from clients like you who keep NinjaCat fresh with the best integrations. 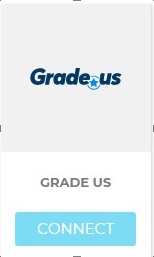 This week we welcome 4 new integrations, Perfect Audience, Choozle, Grade Us and Amazon Ads. Let’s take a deeper look at what you can do with these new integrations. 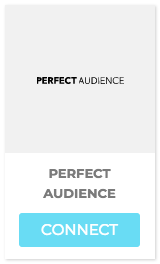 Perfect Audience is a powerful retargeting integration that you can now use in your client reports. Here are the metrics and dimensions available to you in NinjaCat with the Perfect Audience integration. NinjaCat also welcomes our friends at Choozle, a self-service digital advertising software platform with control at its core. Execute programmatic ad campaigns at scale and rock your paid display campaigns. Choozle makes it easy to setup a digital advertising campaign leveraging a number of targeting tactics, and then bring that data into NinjaCat and aggregate it with your other marketing campaigns and Google Analytics. Deliver a high quality, c-level executive report that gets right to the point. Bring in these dimensions and metrics with the Choozle Integration. Amazon Ads, welcome! 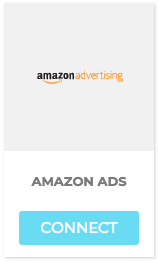 Bring in CTR, CPC, CPM, Clicks and more from your Amazon Ads campaigns. Put this data against any social or search PPC campaigns and really drive home the story of your marketing efforts. Combine with other campaigns to provide a high level report for c-level executives or drill deep into all the metrics and dimensions available. ASAP font is now available for formatting widgets and reports, including global and widget level styling. Added support for Hong Kong and Argentina numbers. Local and toll-free numbers are supported for both Countries. A new NUM_ACCOUNTS constant was added to the custom calculated metric editor. This constant displays the ‘number of accounts’ for given dimensions and metrics. The value of the constant should be determined on a row-by-row basis. The value in the total row should be equal to the number of unique accounts in the entire table. If this constant is the only metric selected in a widget, then no data will be returned.